‘Amazing Grace,’ the song, is a beloved gospel classic; but once in a while, someone complains that it isn’t Christian enough – at least not in that first, famous verse. Words like ‘grace’ are too vague, and phrases like “I once was blind, but now I see” could refer to just about any spiritual experience – or so the argument goes. But some observers have noted that the film seems to marginalize the role faith played in Wilberforce’s life and work. Reportedly, the film’s producers – including Bristol Bay Productions, which is owned by Christian billionaire Philip Anschutz – originally wanted the film to focus on Wilberforce’s faith. But director Michael Apted (49 Up, The World Is Not Enough) and screenwriter Steven Knight (Dirty Pretty Things) said they wanted to focus on the power of positive politics, instead. Wilberforce does hook up eventually with the Clapham Sect, a group of evangelicals who want to abolish slavery, and the film is very effective in showing how they sought to open the eyes of their fellow Britons to the travesties of the slave trade. However, the film gives virtually no time at all to Wilberforce’s other main objective, ‘the Reformation of Manners.’ Other characters casually mention that Wilberforce has given up personal habits like gambling, and you get the sense that he doesn’t care for comic operas, but the film never lets on that he acted against such things on a social scale. The film also avoids mentioning other deeds of his that might not be palatable to a modern liberal audience, such as the banning of trade unions. Amazing Grace is a valuable film inasmuch as it draws our attention to a crucial part of our history. 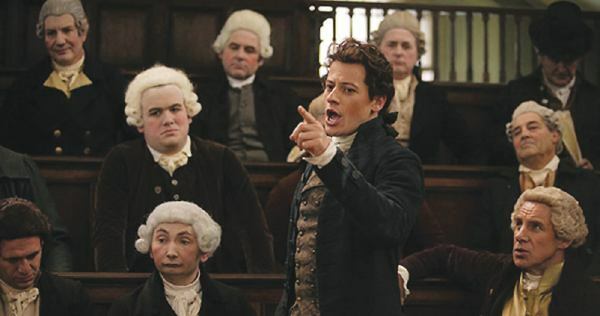 The irony is, Wilberforce set out to change the consensus of his age, and succeeded spectacularly after many years, but the film about him has been carefully designed to avoid upsetting the commonly held opinions of our own times.